There's not much to see, but the multiplayer part works, which is kinda cool. Ali showed me where the save files are stored. A little experimentation and a few goblin deaths later, I cracked the code and had myself a full set of some god gear. If for no other reason than being able to cheat in multiplayer, this was probably the most fun I had messing around with any of the games in this jam. The gameplay is OK. There's some fun on it, but it still has some important issues. I tried to fulfill the rats quest, but I killed them all and then "destroyed" their corpses and the guy kept telling me that there were rats on the cellar. The map is too big and it takes too much time to explore. The game has potential, but looks too incomplete. I don't think the theme was met. Sure, there are quests here, but I think the "30 second" part was the most important part of the theme. The graphics are basic but I liked them. With some more detail, the game would be perfectly OK with that style. 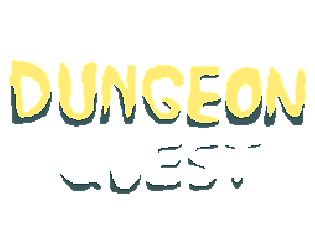 * This game really has to be played multiplayer (something I knew was gonna be an issue, but hey I really wanted to make a mini MMO =D The quests are designed intentionally Old School MMO style, meaning they are persistent and you don't "complete" them. You can keep repeating the quest for gold and exp! Game really isn't complete, the map is mostly empty. There is a second dungeon on the right if you headed that far. * Don't know if you noticed but the Aether (which is described in Whitaker's quest text) exists in all dungeons and gives you 30 seconds of breath. The artifact gives you a safe zone, and there are some abilities that give you temporary safe zones. If you breath too much Aether it becomes Toxic and you die quite quickly! * Graphics and Sound: Totally :D its just me so didn't want to waste time making and animating something more intense, so just went with block shapes mostly. Good thing I did too. Finished it only a few hours before the jam! Sound was pretty much an afterthought really didn't have time. Hope you will give the game another shot with someone else. It really was enjoyable during the public playtests we had on Discord!